A Ferrari for Me? While there are Ferraris that cost megabucks to own and maintain, there are some deals out there. We have picked five models that now represent terrific values; these cars also span a great deal of the Ferrari model range, from ‘60s classics to more modern machinery. 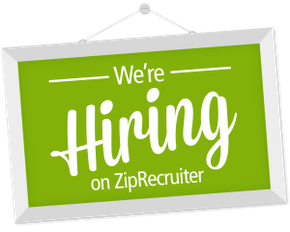 We even have a wild card pick for those who like to think outside the box. As with any other collector car, you should spend your money and buy the best car available, not the best car you can afford. There are no bargain buys on these cars. Anyone selling a Ferrari in good condition knows what it’s worth. If you can’t afford a good example of a specific model, then either wait until you can or choose a car that matches your budget. While finding the right Ferrari may sound like a bit of a challenge, all of the cars on our list offer a real Ferrari experience and deliver a tremendous amount of exotic car value. Unlike most any similarly priced new car, the ones on our list should even appreciate over time. In fact, you might get lucky and be able to make a buck or two when the time comes to sell. We wouldn’t plan on financing our retirement this way, but it can certainly be a nice benefit of ownership. First, a Disclaimer There’s one negative aspect of Ferrari ownership that you may already know about: Service costs can be expensive. If our service estimates seem kind of high or you have a friend who disagrees with us, please take it to heart that a Ferrari is not in any way a car that you can skimp on. These are cars where a distributor cap costs anywhere between $250 and $500, and where an alternator can cost well over $1500. Don’t look for deals for generic parts on eBay, either. These cars need to have the correct parts in order to operate to spec. While many people claim that Ferraris can be serviced by their owners, unless you are a trained and experienced mechanic and have the necessary tools, this is, in reality, not practical. Okay, with that out of the way, here’s the fun stuff: our list. If you have always wanted a classic front-engine V12 Ferrari but thought you couldn't afford it, then we are happy to tell you that one or two models of this type are still affordable. The 365 GT 2+2 is one such car. These cars are the last of the classic front-engine Ferraris that began with the 250 series in the 1950s. Thanks to this design, the 365 GT 2+2 is the easiest classic Ferrari to drive and live with on a regular basis. In addition, they represent the final development of the cars and incorporate many lessons learned from their predecessors. Throw into the mix the addition of quality creature comforts such as power steering, functioning air conditioning and power windows, and you have a car that is hard to beat. You will also stand out at any Ferrari club meeting or get-together by having one of the few front-engined cars present. While the mid-engine cars can be a dime a dozen, these cars are much more scarce with only 801 examples built. The driving experience is much like one would find in a Aston Martin DB5 or a front-engine Lamborghini, in that it's a very powerful grand tourer with a capital G. The 365 GT 2+2 will cruise all day at 140 mph and keep the driver and passenger in comfort. The suspension is a bit soft, but the car is stable all the way to up its 151 mph top speed. If you are looking to experience the feel of Enzo's classic 12-cylinder road cars, then look no further than the 365 GT 2+2. So, you have always wanted a Ferrari Daytona but can't afford the necessary $150,000 entry cost? Well, we are here to tell you that there is a solution: The 365 GTC4 is just the car for you. With prices running anywhere between $60,000 and $90,000, these cars represent a lot of machine for the money. Think of it in terms of a Ferrari that is appreciating, one with Daytona performance but better drivability—and all for the same price as a new BMW 6 Series coupe. Now that sounds like quite a bargain, right? On the road, this car is very smooth, and thanks to the power steering it is very drivable even at parking lot speeds. At higher velocities, the 365 GTC4 is typical Ferrari in that it is stable all the way up to its 163 mph top speed and offers good and very forgiving handling, inspiring a lot of driver confidence in the turns. 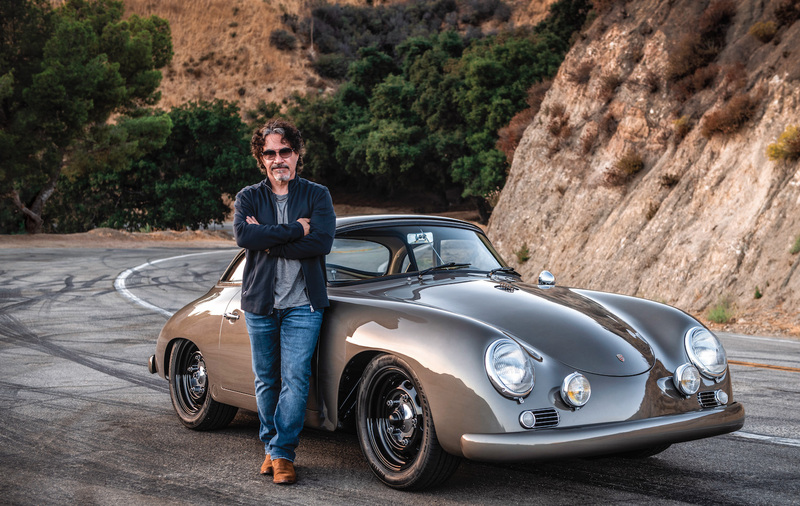 In addition, the car itself offers a more comfortable driving position than its sibling, the Daytona, which now costs more than twice the price. The GTC4 is a lot like the Porsche 928, in that it's a true grand tourer with the added benefit of having more punch than most of the other offerings in its class. 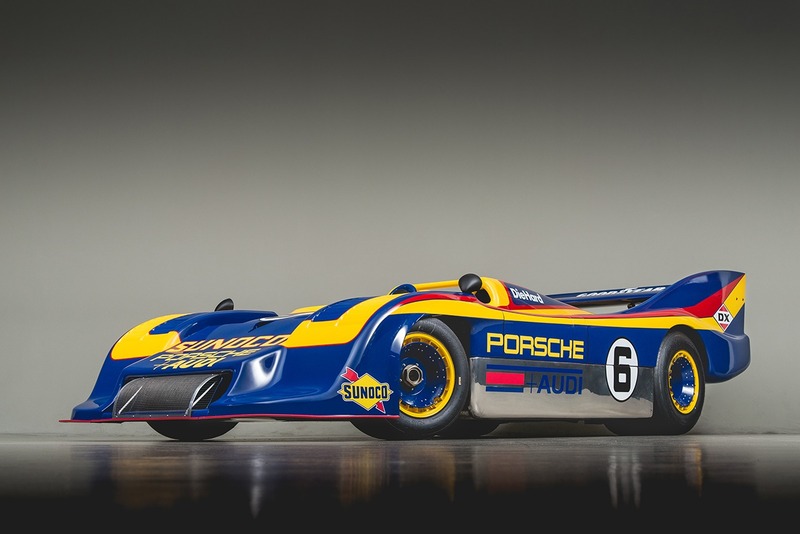 In addition, you have a car that will continue to appreciate in value over time and is likely to pass the $100,000 mark as it follows the Daytona. 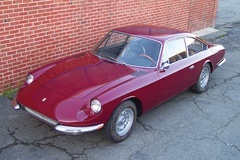 For those who like the idea of a Ferrari and want something different than a mid-engine car, or for those who have always wanted a Daytona but can no longer afford one, the 365 GTC4 offers a nice substitute. In fact, in many ways the 365 GTC4 is a better overall car to live with. Think of it as a daily driver for a motivated and involved owner. The Ferrari 400 and 412 have got to be today's absolute best buys for the brand. With good cars starting as low as $18,000 and topping out at maybe $40,000 for the best example in the world, these are an amazing deal for any collector car, let alone a V12 Ferrari. Many people recommend buying the five-speed models, but we beg to differ. While you may lose the ability to self shift with the automatic, you gain one less maintenance item to worry about. The GM Turbo 400 automatic transmission used in the 400-series cars is bulletproof and requires virtually nothing outside of fluid checks. Because this is a true touring car and not a sports car, the automatic suits it well. The tremendous amount of power and torque mask any performance weakness of the so-called “slushbox” transmission, making this a spirited ride. These cars are very luxurious, the equals of the Mercedes 560 SEC and BMW 6 Series with the added benefit of a Ferrari V12 under the hood. They will never make their owners much money on the investment market, but dollar for dollar, you will be hard pressed to find a touring car equal to the 400. The driving position is almost Mercedes-like in its ergonomics, again reminding one of the big S-class coupes of the 1980s. Capable of incredibly stable high speed cruising, these are not cars for hustling through the twisties. While they handle decently, they are not sports cars but rather true touring cars, offering luxury, performance and stability at high speed. If you are looking for a world-class touring car with a bargain purchase price and are willing to step up when it comes time for the annual service, then the 400/412 would be a good choice. If there is one car that symbolizes the 1980s, it has to be the Testarossa. This was the fastest car of the era and was the one to own at the time. Along with the Lamborghini Countach, it was also what every teenage boy had hanging on his wall in poster form. Fortunately for us, the fickle world of car fashion has turned up its nose at the poor Testarossa. As a result, these cars, which sold new for more than $100,000, are now in the realm of affordability with prices between $45,000 and $65,000. To us, that seems like quite a deal for a flat-12 Ferrari that features modern amenities such as decent air conditioning and fuel injection. The Testarossa is also capable of speeds past 180 mph. These are cars that are modern enough to feasibly use as daily drivers yet also work at Ferrari club track days. The driving experience is like that of many '80s exotics, with steering that's a bit heavy at slow speeds yet lightens up quickly once the car passes 25 mph. Once behind the wheel, you get a feeling for just how large this car is, which is on the big side for a GT. The visibility is also a bit limited, especially at the rear, making parking lot maneuvers a bit stressful. While these cars can work as daily drivers, they are most comfortable eating up lots of interstate road at high speeds. There is virtually no lift, even at the limit, and the Testarossa handles amazingly well, easily in the same league as any other exotic of the '80s—and most of the ones from the '90s as well. The sound of that 12-cylinder engine located behind the cockpit is intoxicating and easily addictive. You find yourself shifting at higher and higher revs just to hear the engine. This can add up to a tremendous speeding ticket if you are not careful, so make sure to watch the speedometer as well as the tach. Combine all this with comfortable seats, great pedal placement for a mid-engine Ferrari, and full instrumentation, and you have a grand touring mid-engine car with few equals. 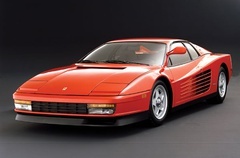 The Testarossa more or less continued with the 1991-'94 512TR. Horsepower was up to 421 thanks to bigger valves and a higher compression ratio, but those wild looks were still there. Everything said about the Testarossa goes for the 512TR—except there's less required maintenance and higher buy-in prices. Figure a 512TR now goes for about $35,000 more than a Testarossa. This is quite possibly the most iconic Ferrari model ever built. These were the cars that really introduced the Ferrari brand to the mainstream. Thanks to shows like "Magnum P.I.," they quickly became one of the most desirable cars of their time. That the design still looks good after almost 30 years is a testament to the quality of the original Pininfarina design and aesthetics. These cars are now selling for the same price as a new Toyota Camry, making them one of the best bargains around for sports cars. 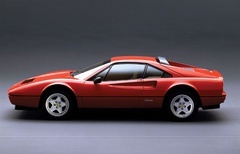 If you're buying a Ferrari to be seen in, then this is the one: Everyone knows that a 308 is a Ferrari. No one will ever confuse it with a Lotus Esprit, Acura NSX or whatever. Remember that this is the car that graced the walls of many a teenager's room during the '80s and into the '90s. Perhaps you even had one on your wall. 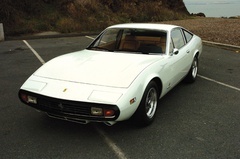 The series started with the fiberglass-bodied, closed-top 308 GTB in 1975. The V8 engine featured two valves per cylinder and four Weber 40DCNF carburetors. In June 1977, the fiberglass body was no more, replaced with a similar-looking steel one. The open-top GTS model joined the lineup the same year. Fuel injection replaced the Webers for 1981, and with that change both emissions and power were down. The four-valve Quattrovalvole models appeared for 1982, bringing horsepower back up to past levels. 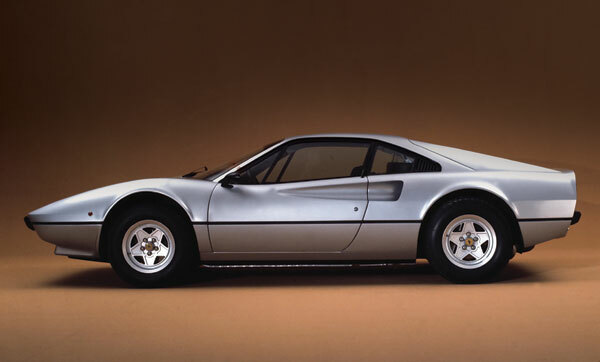 The series received a 3.2-liter engine that debuted in 1985, creating the 328 GTB and 328 GTS in the process. While many people flock to the early cars thanks to their lighter weight—and the associated performance advantage—right now the fuel-injected, two-valve cars are the better deal. If you think about it, the average Subaru Impreza WRX will blow the doors off any of the 308 models, but you are getting one of these so that you can own a Ferrari and not because of their blistering top speed. That said, those early injected cars also offer the lowest maintenance of the series: No carbs and fewer valves to adjust. On the other hand, the 328 has a better electrical system. The 328 is also newer and offers terrific performance, although the price is higher. The best advice is to drive as many cars as you can find. Specifically, join the Ferrari Club of America and get an opportunity to drive a few truly good 308 and 328 cars so that you will know a good one when you see it. These provide a very different driving experience from other cars, so it is good to have a baseline for what to expect. That driving experience is one that should be experienced by every enthusiast at least once. The sound of the engine speed climbing between shifts is utterly intoxicating. The handling is fantastic, with terrific steering feel and true "on rails" road holding. These cars have always been at the very top in terms of lateral acceleration numbers, and they still hold their own with modern sports and exotic cars. In addition, they are very forgiving, giving the driver increased confidence and adding to his skill. It is said that a Ferrari can make a novice driver appear good and a good driver appear great, and never was this more true than with the 308 and 328 cars. While these cars are amazing in the twisties, this doesn't come at the expense of straight-line performance. They can eat up a long straight at rapid speeds in great comfort. From the driver's seat, these cars are hard to fault; after your first taste, you realize that all of the great reviews that they have received through the years are well deserved. There are a lot of 308 and 328 cars on the market, and more examples of this model than any other have suffered from deferred maintenance. Make sure you get a car with up-to-date service records and don't buy the first one you look at, no matter how good a deal you think it is. Check out a few more first and if you miss one, there are sure to be others for sale. These cars offer the most Ferrari experience for the least money. You have waited long enough, so get out and buy one. So you want the Ferrari experience at a bargain price--but with a modern car, not something that's been passed between owners during the last few decades? Well, there's a car out there just for you: enter the Maserati Coupé and Spyder. While they left the dealer showrooms just a few years ago for nearly $100,000, these cars can now be had for half that price--or even less. The cheapest example we were able to find was selling for the amazing price of $38,500 and only had 37,000 miles on the clock. Sounded like a bargain to us. Ferrari started calling the shots over at Maserati in 1997, and the brand officially returned to the U.S. market for the 2002 model year. At first, the model range consisted of the closed-top Coupe and open-air Spyder. With prices this low, we borrowed a car from Ferrari Maserati of Washington so we could see for ourselves what the deal was. What we found was a Ferrari-engined touring car with a world-class interior and tremendous performance, both in a straight line and in the corners. Think of a Jaguar XKR with a six-speed transmission and 100 more horsepower: the Maserati's Ferrari-built twin-cam, all-aluminum V8 produces 390 horsepower along with 333 lb.-ft. of torque. If Italy made a pony car, this would be it. The Maserati even came with a six-speed manual transmission, although the servo-shifted Cambiocorsa gearbox was an option. Add to that driveline an incredible exhaust note and one of the most beautiful interiors of any car in its class, and you get what is possibly the best used sports car bargain in years. When you figure that regular maintenance only consists of oil changes and brake jobs when necessary, you have an Italian exotic car for a Porsche price. Unlike the other cars in this article, however, don't look for these to increase in value anytime soon. In fact, they likely will continue to depreciate a bit further. 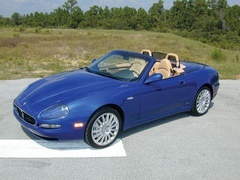 If, however, you are looking for an Italian sports/touring car with Ferrari pedigree and few--if any--of the liabilities, then the Maserati Coupé or Spyder might be just the car for you.